When Rachel Mayer left her job as a trader at JPMorgan, she realised just how good she’d had it with access to financial data. Mayer left trading to pursue a master’s in computer science, but she was still watching the markets, and wanted to invest her own money. The problem was that the tools she had relied to make investment decisions at JPMorgan were out of her reach, and those available to her as a civilian retail investor were limited (to put it politely). 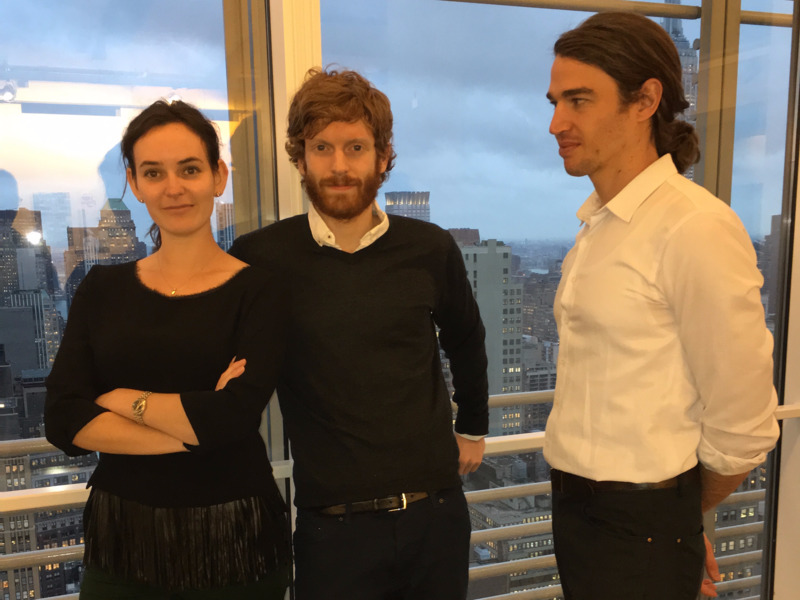 This frustration led Mayer and two classmates to set out to build a platform to level the playing field, slightly, in favour of everyday investors, cofounder Adrian Soghoian tells Business Insider. 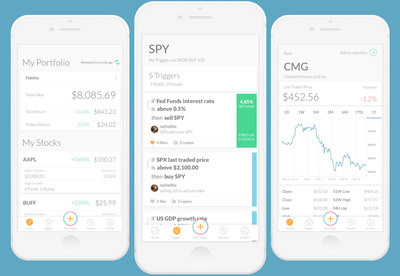 That work has become Trigger, an iPhone app that provides free realtime data for investors. Here’s how it works. 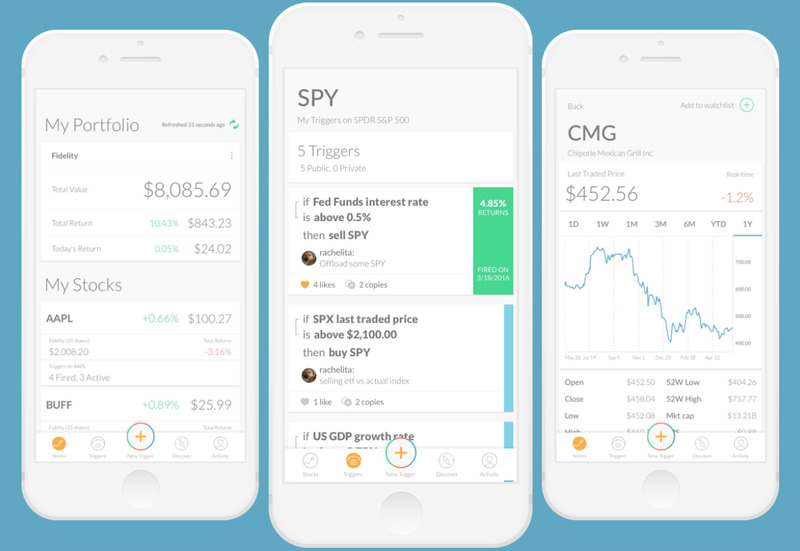 Trigger lets you set up different financial “triggers,” which you can then use to guide your investment decisions. An example: you can set a reminder to sell a stock when it reaches a certain level, moves a specific percentage, hits a one year low or high, and so on. When the condition occurs, Trigger sends you a notification, and you can decide whether to act on it. You can set up alerts based on the performance of certain stocks. You can have Trigger track US economic events like the jobs report. You can set up a trigger around corporate earnings. If you link your brokerage account, you can schedule alerts based on gains or losses in your portfolio. Soghoian hopes these signals will help everyday investors create disciplined trading strategies. If you’re checking the stock market every second and firing off trades, you risk letting emotions dictate your decisions. Thinking through your plan beforehand pushes you to act in a more measured way, Soghoian says. That doesn’t mean some retail investors won’t lose their shirts in the stock market, but Soghoian sees Trigger as a both a democratizing and rational influence, as opposed to one that just breaks down barriers to trading. It encourages you to think. Trigger also has ambitions beyond the consumer market. 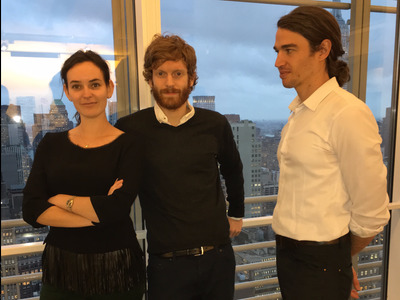 The startup plans to licence its API to other companies: a brokerage, for instance. These companies could rebrand Trigger and offer it as a feature to their customers. And while Soghoian says Trigger’s basic service will likely remain free for individuals, institutional access and special features are where the startup hopes to make its money down the line. Some of these special features might be access to more exotic data sources, Soghoian explains. Trigger is hungry for more data. Soghoian says the team wants to expand the amount of data streams available, as well as release the ability to string together signals for more complicated “compound triggers” (which should be available on the app within a few weeks). Check out Trigger for iOS here, or visit its website.